Our badge wallets are made with top grain leather. The recessed badge cutout allows for a slimmer, more comfortable fit. That's the Slim Line Difference! 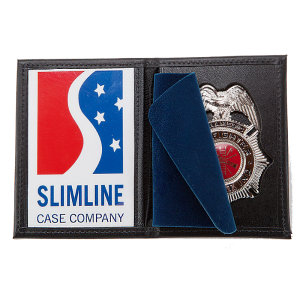 Our sleek leather badge cases protect your badge with a custom recessed cutout. It's everything you need in a badge case! 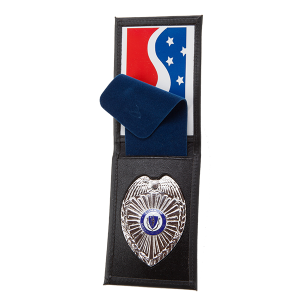 Our non-recessed leather badge/ID holders can carry almost any badge. Pin badge? Clip badge? No problem. Wear your badge around your neck or over your belt. It's a multipurpose holder! Take advantage of our top-quality products, and build your own customer loyalty. We pride ourselves on the leather goods we make, and your satisfaction is our priority. 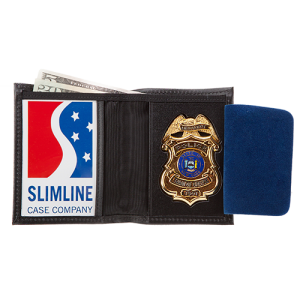 We put 100% into every badge and ID case we make. We go the extra mile to ensure you are getting the best badge wallets on the market. Your experience is important to us, and we are proud to offer a product that we know you'll love. 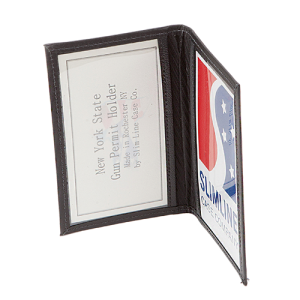 We offer a variety of stamping and font options for custom imprinting of your leather badge or ID case. 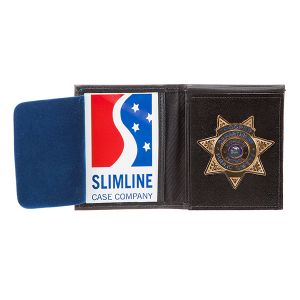 "Chicago Badge and Insignia has been a customer of the Slim Line Case Comp. for over 22 years. Their product set the standard quality leather and workmanship. It is totally Made in America. The customer is always happy, and the delivery is excellent. Doing business with this company is a pleasure." 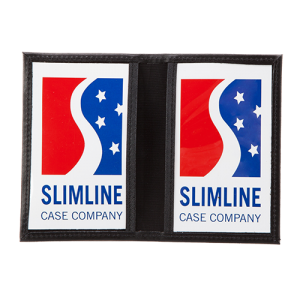 "The Army B&C Program Management Office has had a strong working relationship with Slim Line Case Company for over 10 years now. We have found their leather cases to be of quality construction and competitively priced. The Slim Line staff are professional and experienced. 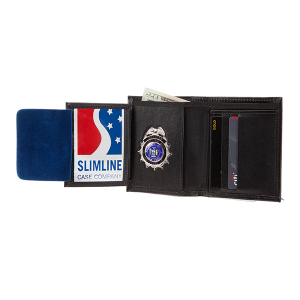 Their customer service and support are outstanding, so much so that I recommended Slim Line to another government agency." 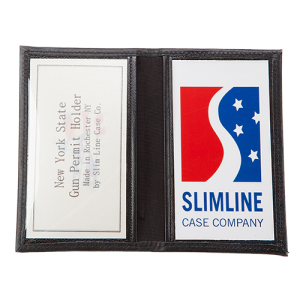 "When looking for badge cases and clip-on holders, Slim Line’s product quality has been time tested to be a great value. 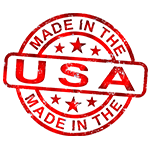 As a military veteran, we enjoy doing business with a “Made in U.S.A.” company that has been around for quite a while. Slim Line is one of the easiest companies to deal with and has not failed us, coming through with great service and turnaround times. You won’t be disappointed!"